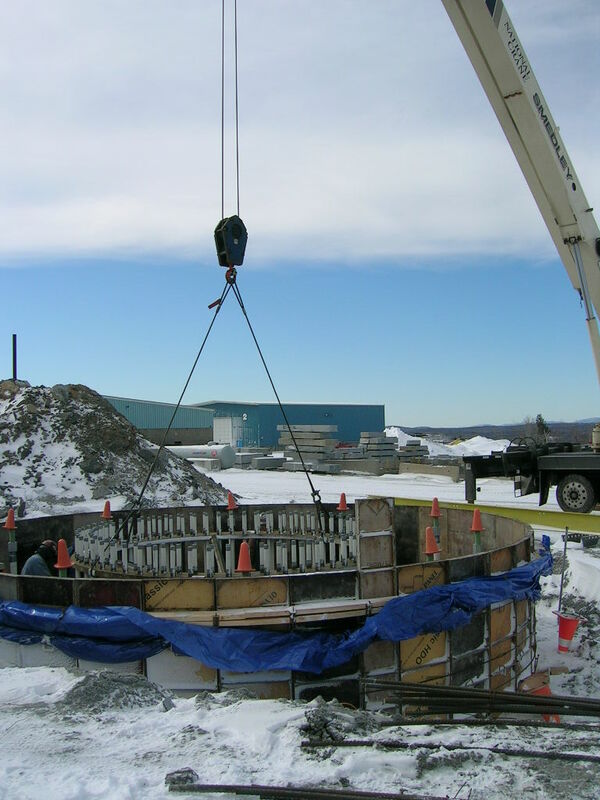 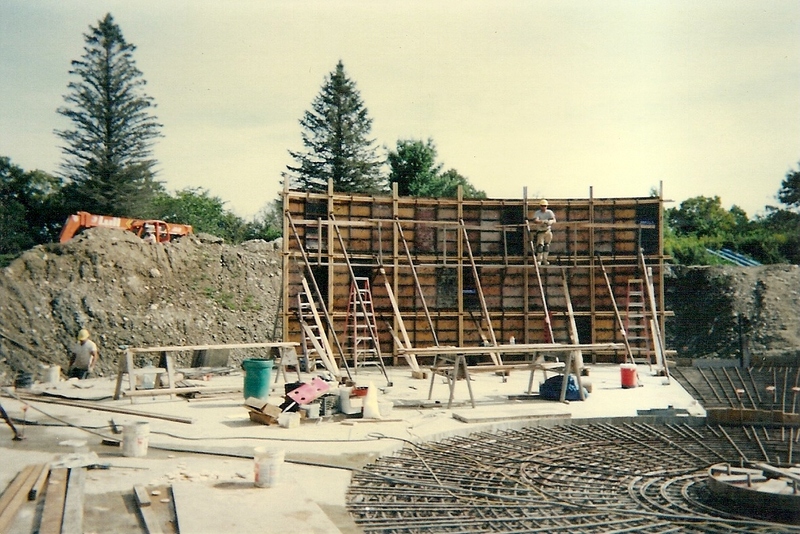 As a specialty concrete construction company, Martin Brothers has experience across a range of market sectors––from manufacturing, industrial and pharmaceutical to academic, retail and financial. 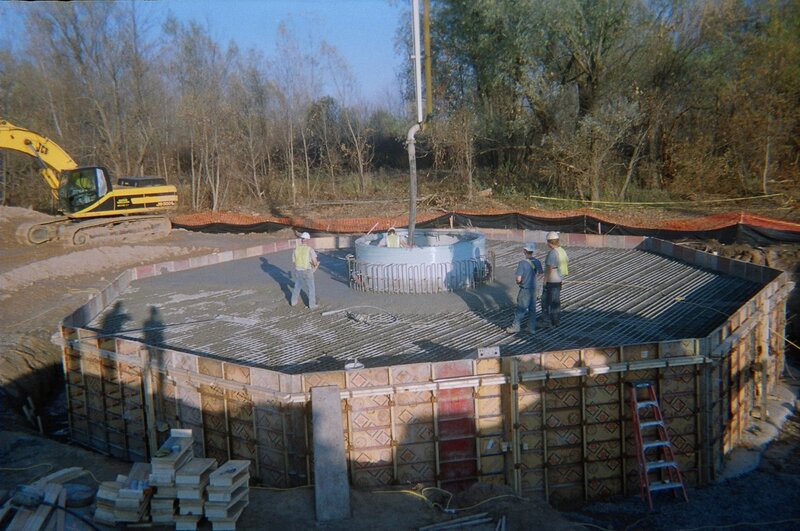 Our concrete construction division is led by Carl Martin, company co-founder and trained civil engineer. 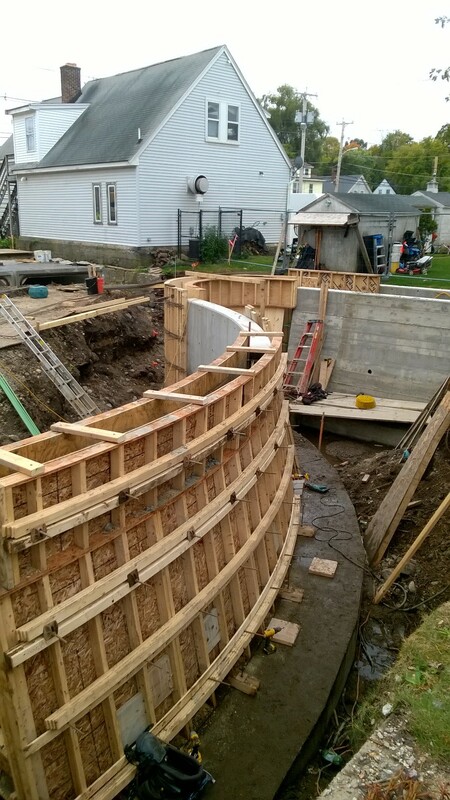 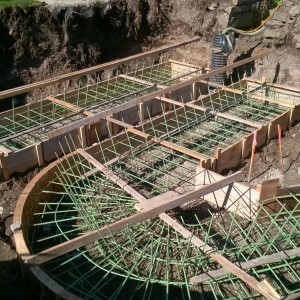 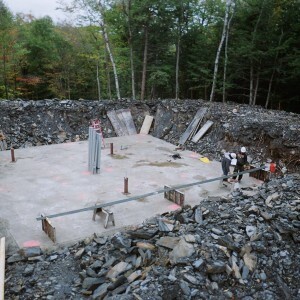 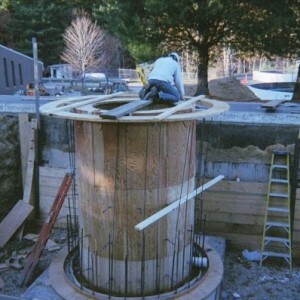 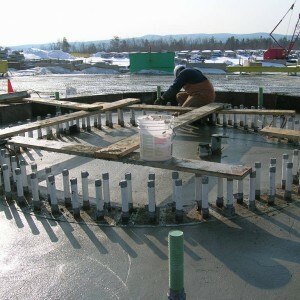 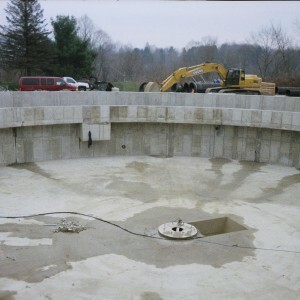 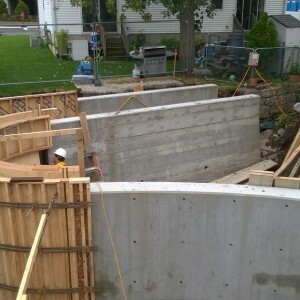 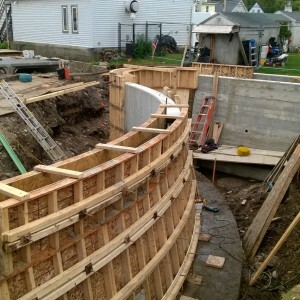 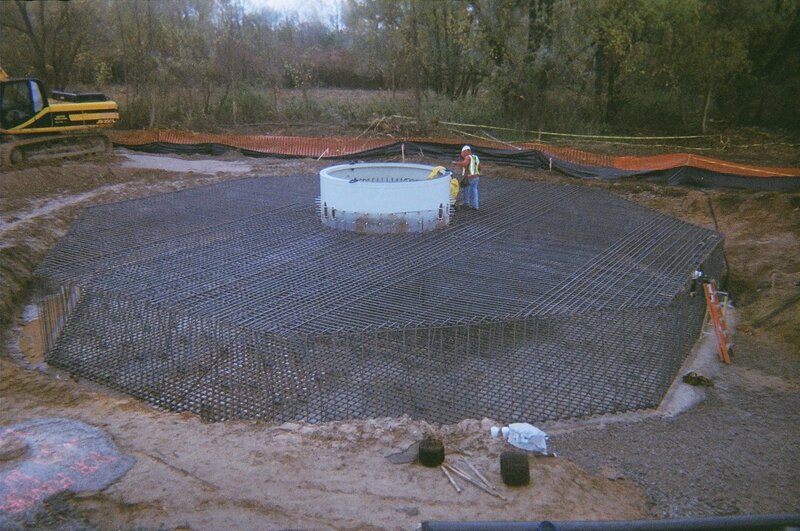 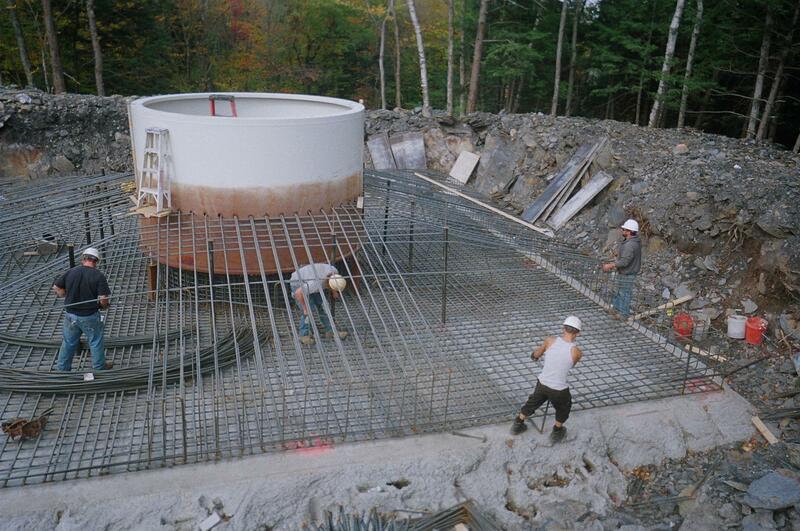 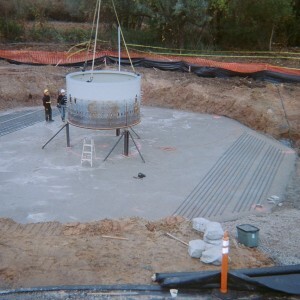 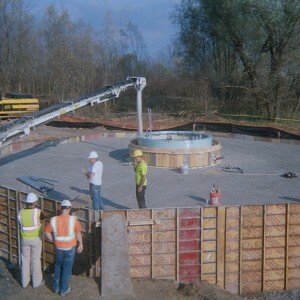 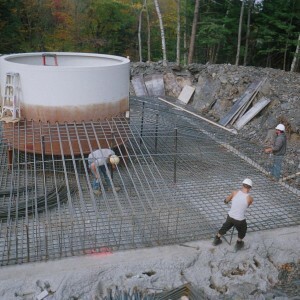 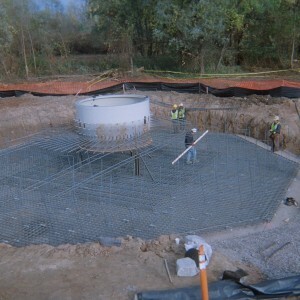 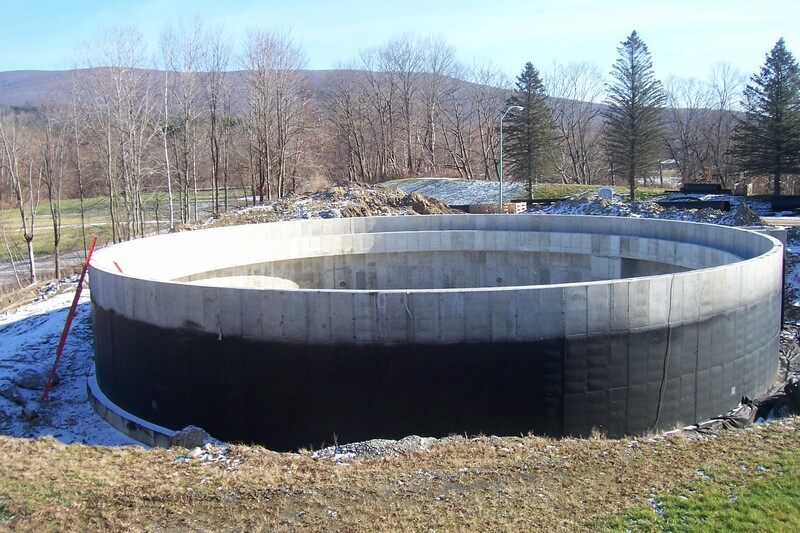 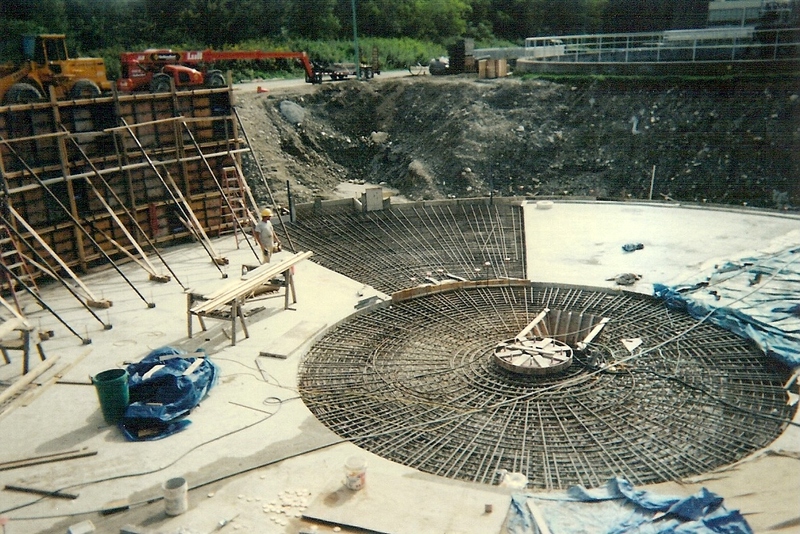 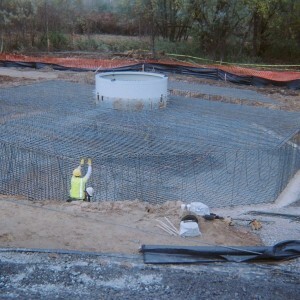 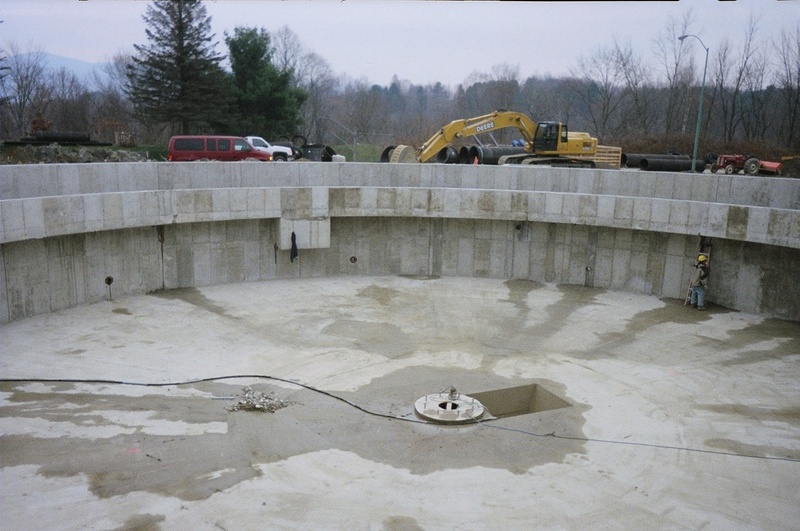 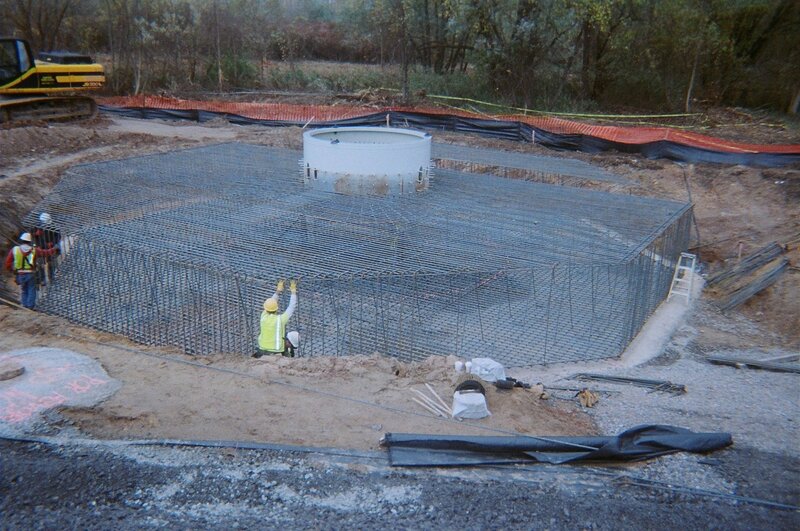 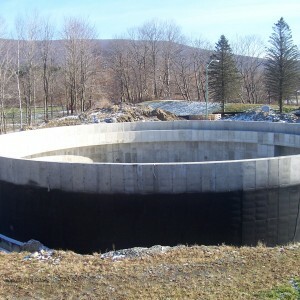 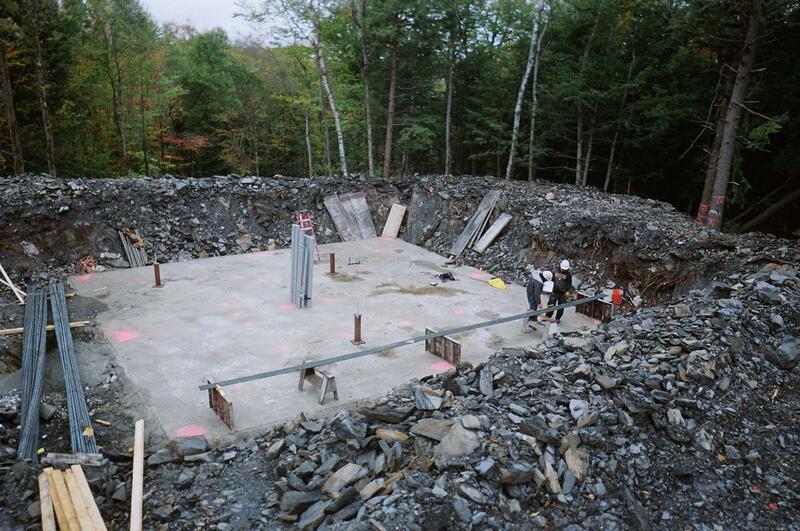 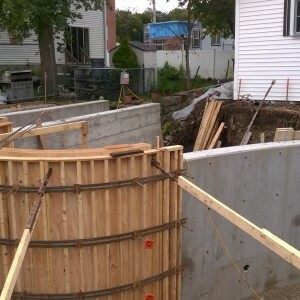 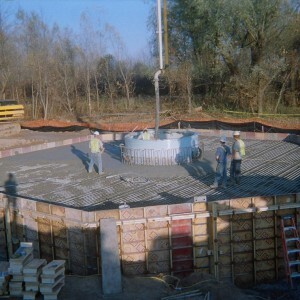 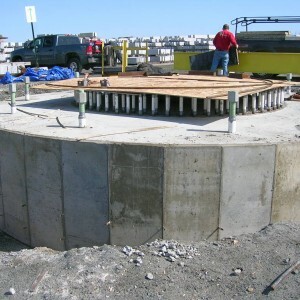 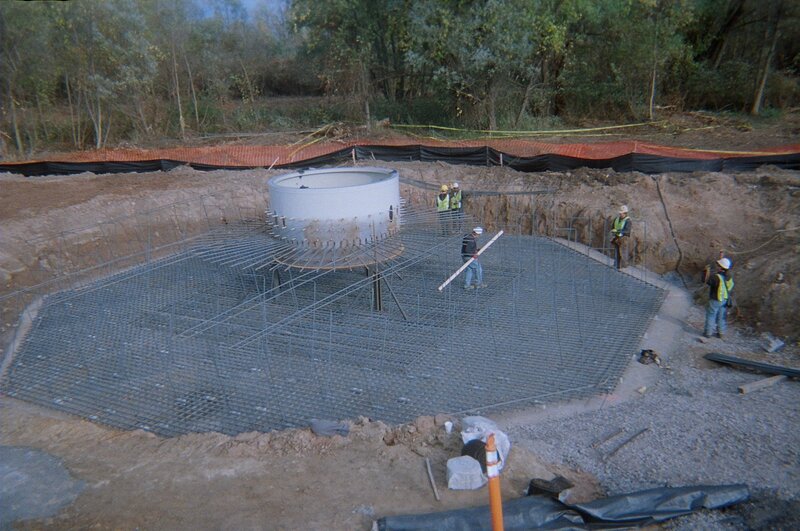 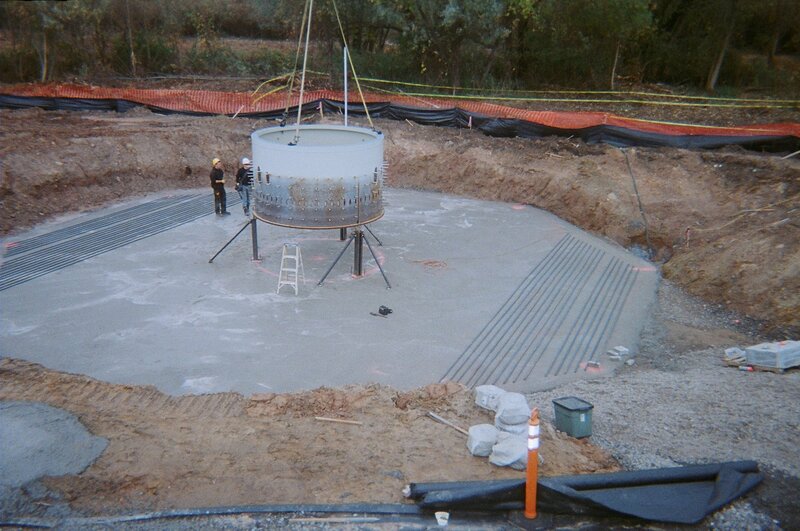 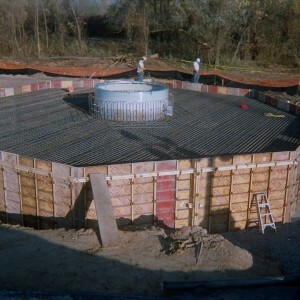 He and his team have extensive knowledge and experience in cast-in-place concrete construction. 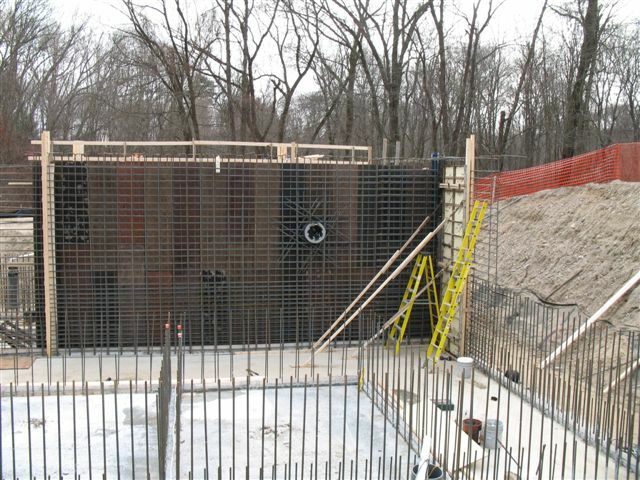 To support even the most complex jobs, Martin Brothers has an extensive inventory of both Symons Steel-ply formwork and formwork accessories for job built applications. 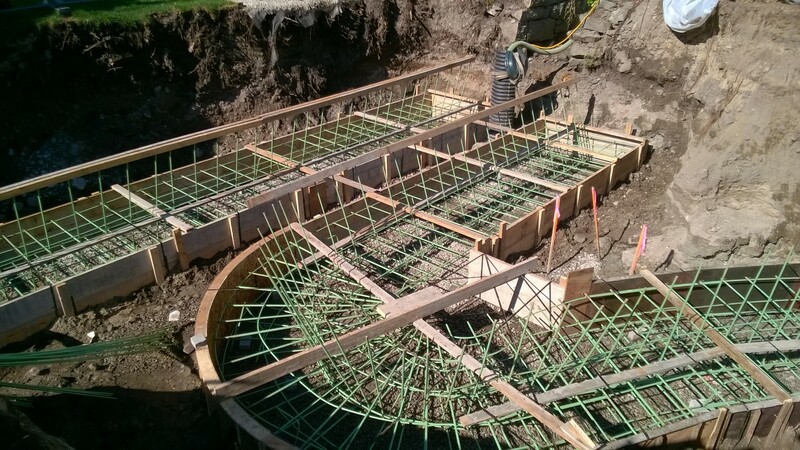 We work as a team with clients and design professionals to plan effectively, work efficiently, and deliver quality and value. 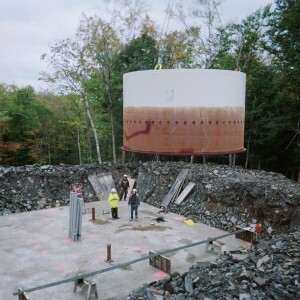 Significant planning, training, and procedures are in place to ensure the safety of your team and ours. 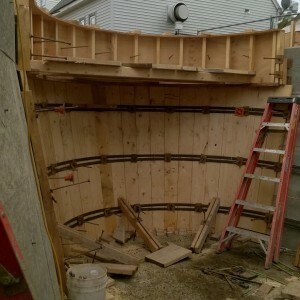 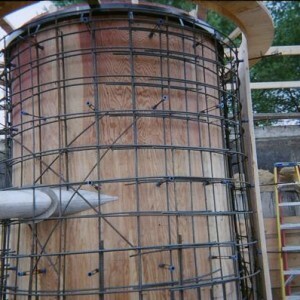 Martin Brothers offers a turnkey, stress-free solution for your construction project. 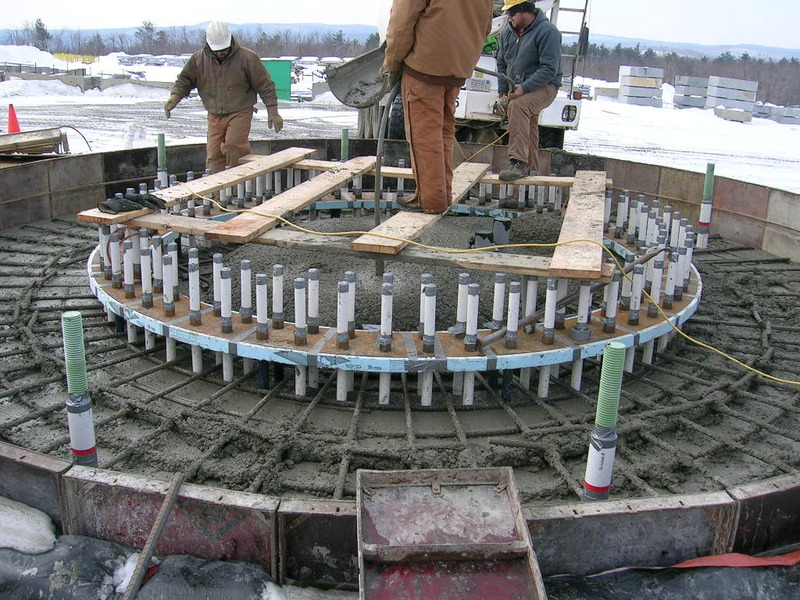 What is cast-in-place concrete construction? 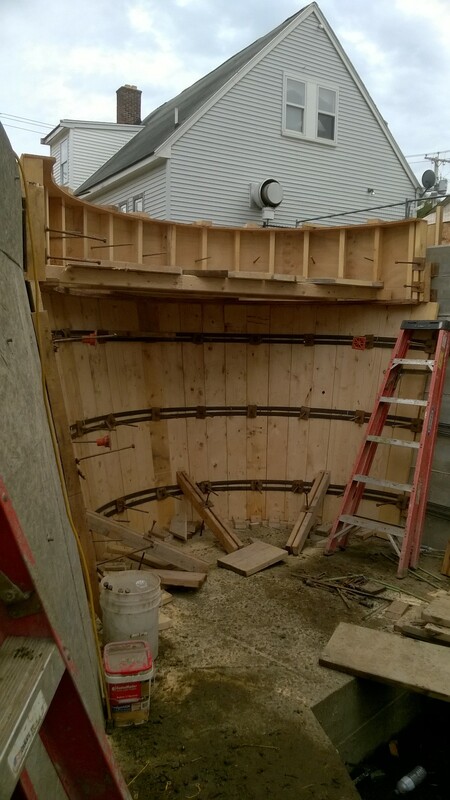 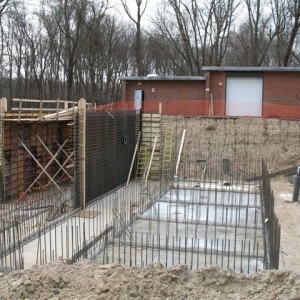 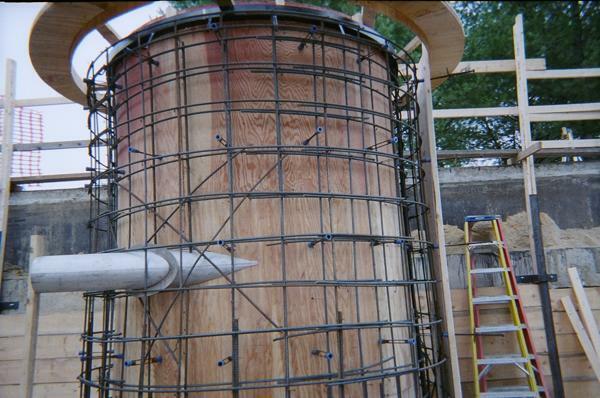 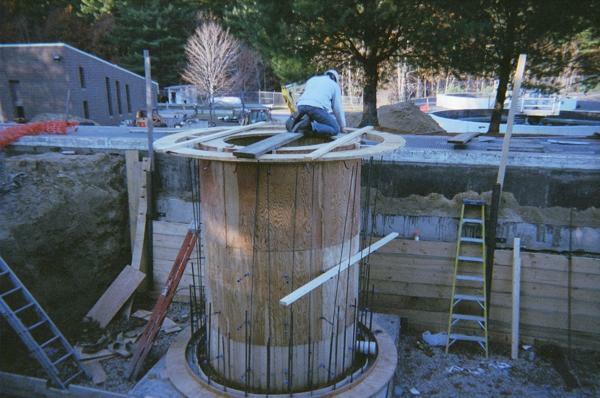 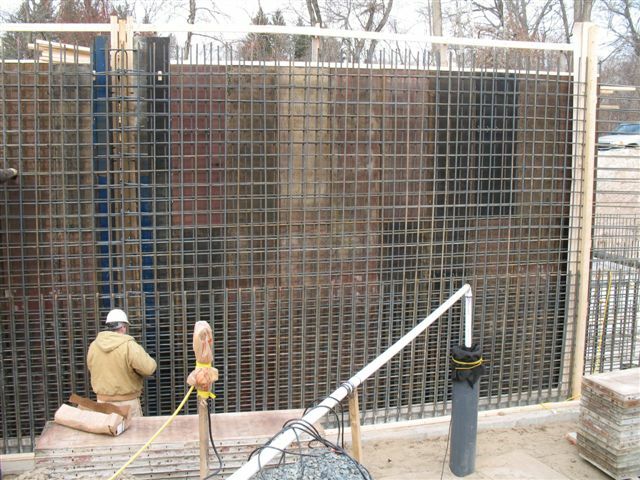 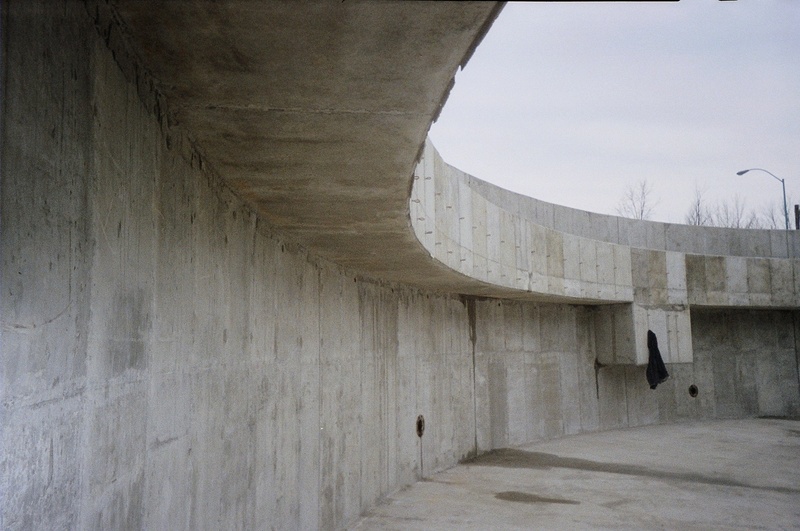 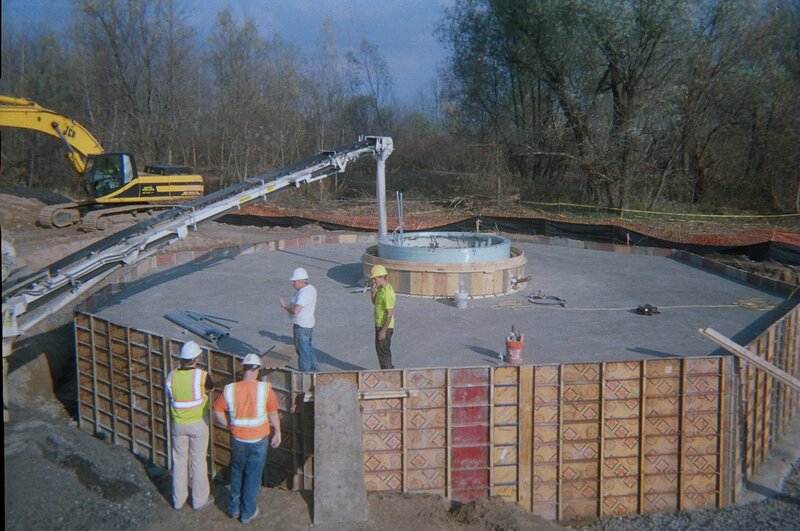 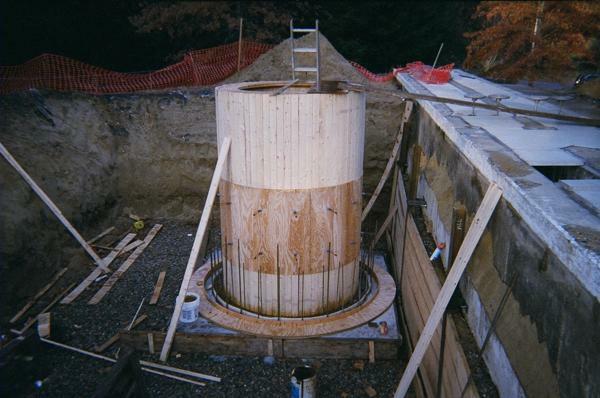 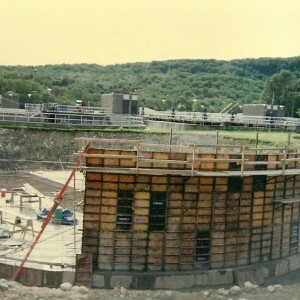 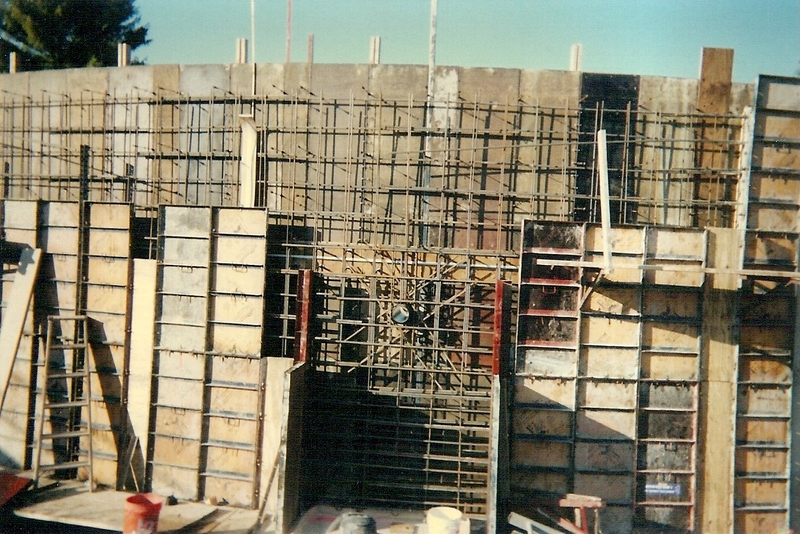 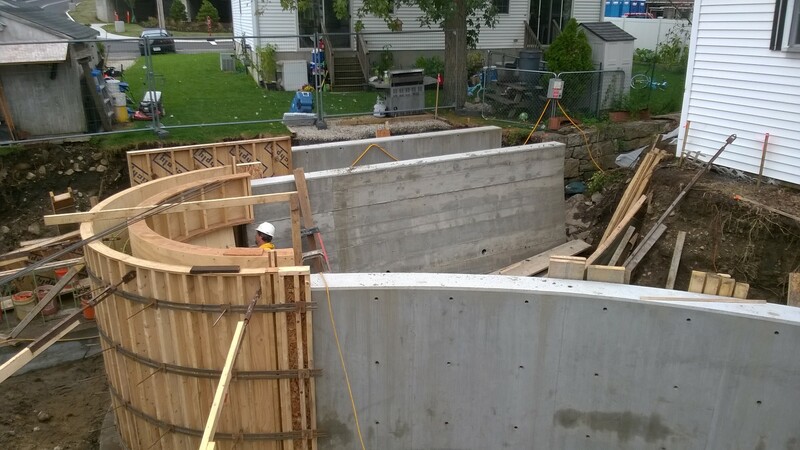 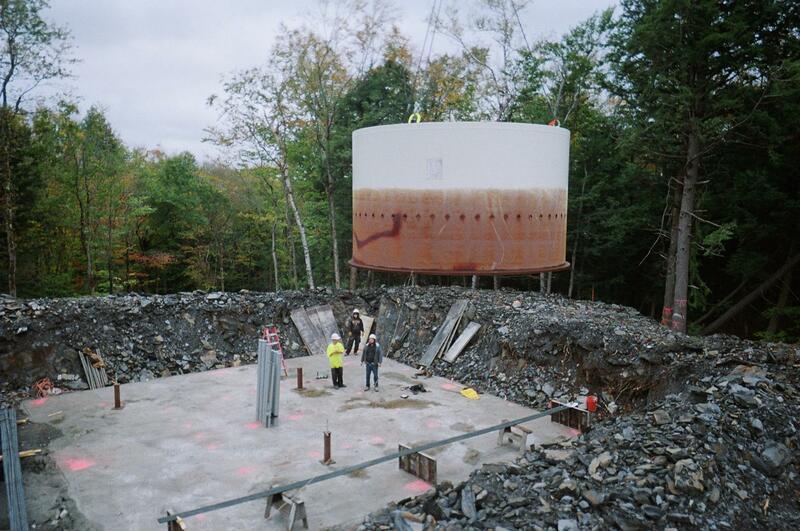 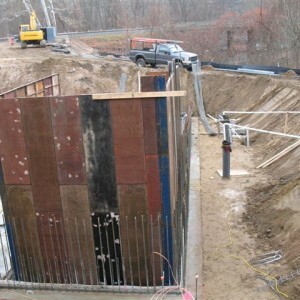 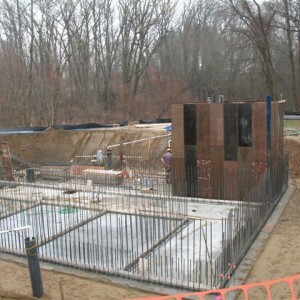 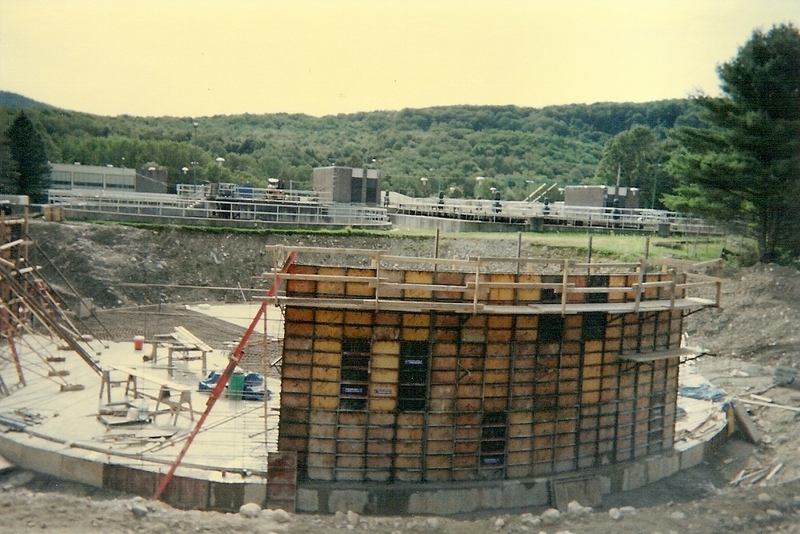 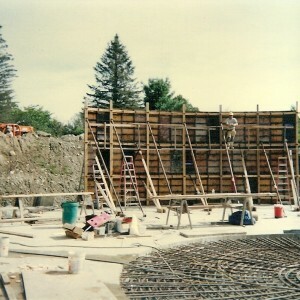 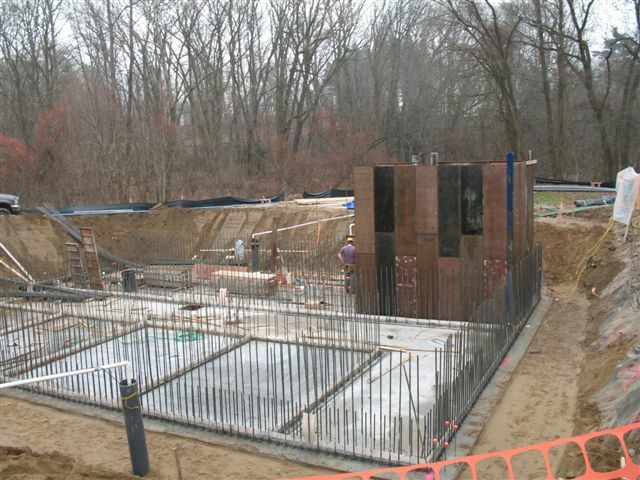 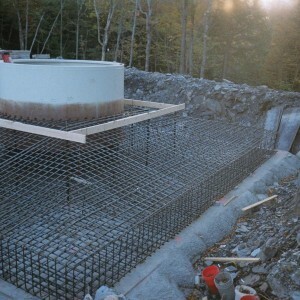 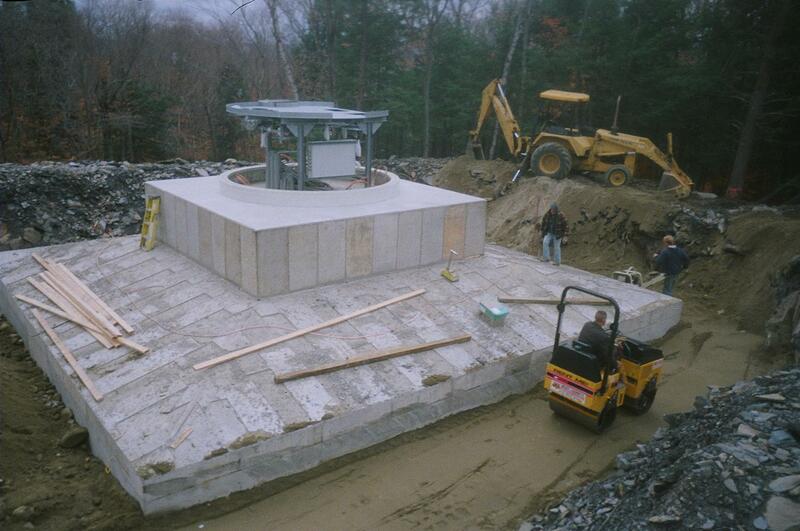 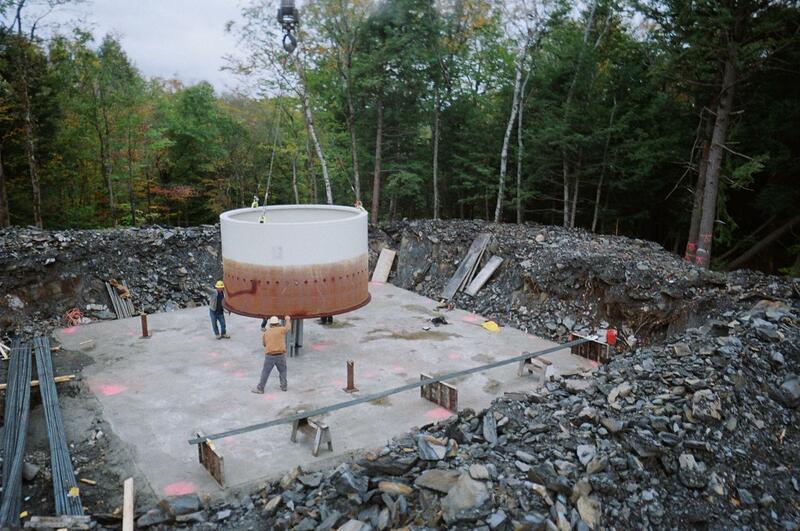 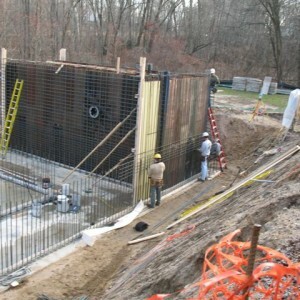 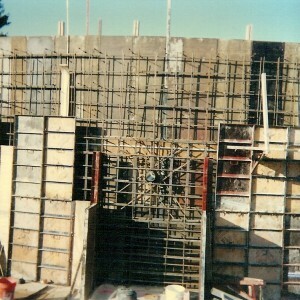 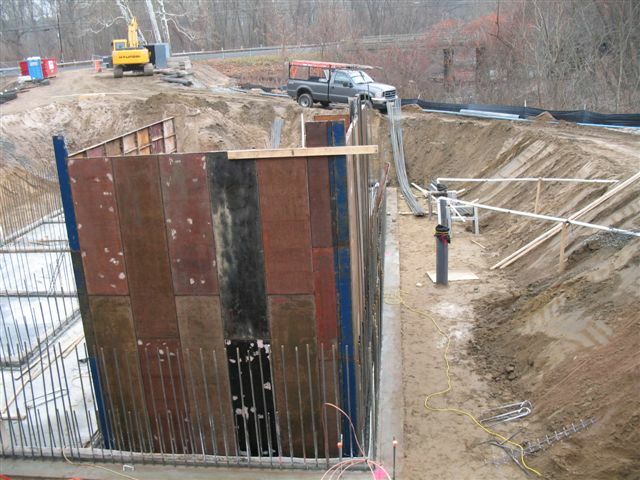 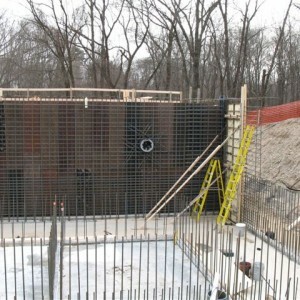 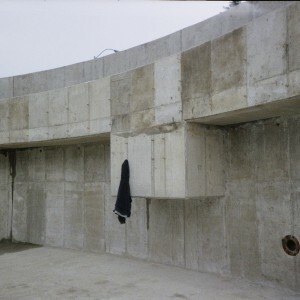 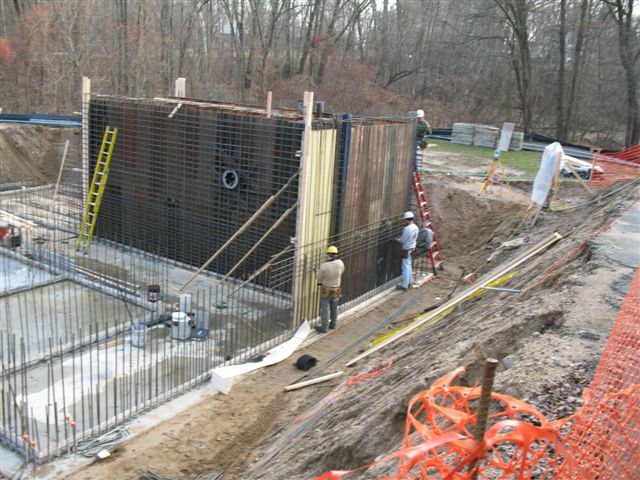 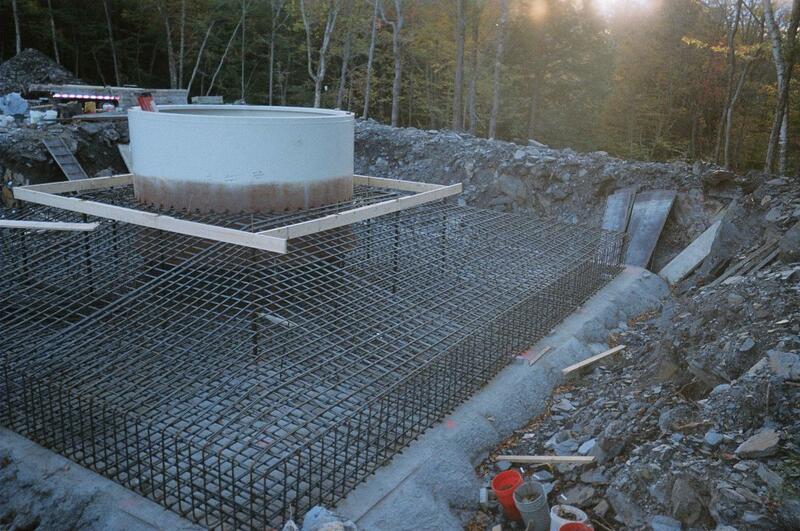 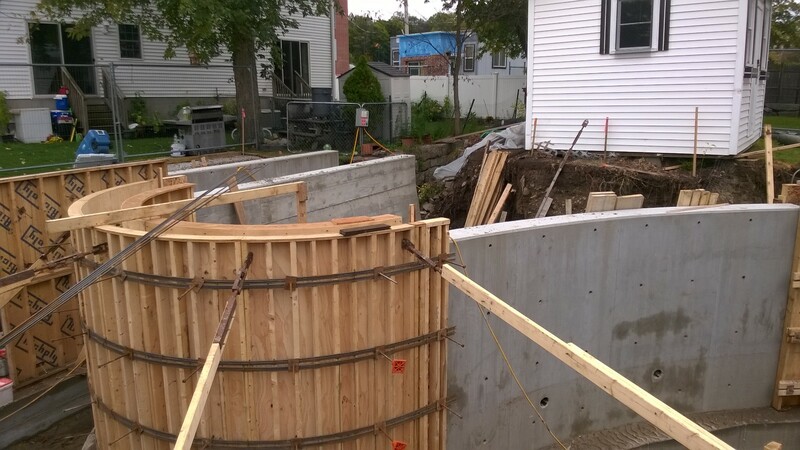 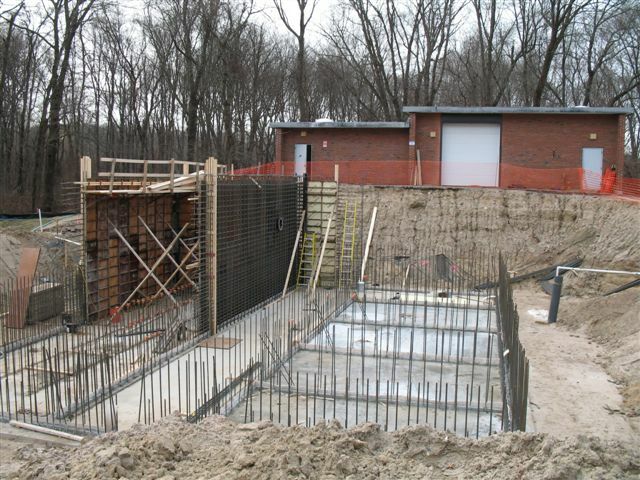 Cast-in-place (CIP) concrete walls are made with ready-mix concrete placed into removable forms erected on site. 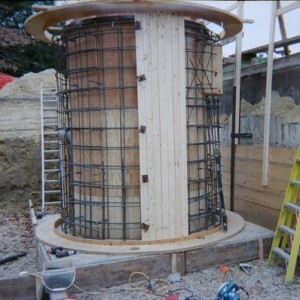 These systems are strong. 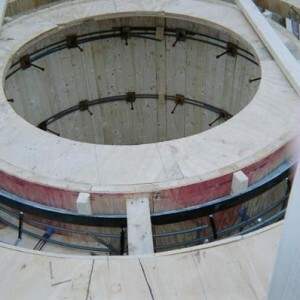 Their inherent thermal mass, coupled with appropriate insulation, makes them quite energy efficient. 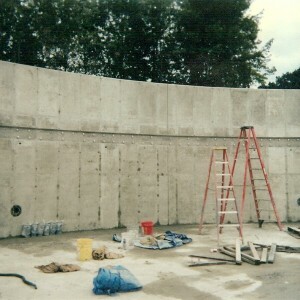 Traditional finishes can be applied to interior and exterior faces, so the buildings look similar to frame construction, although the walls are usually thicker. 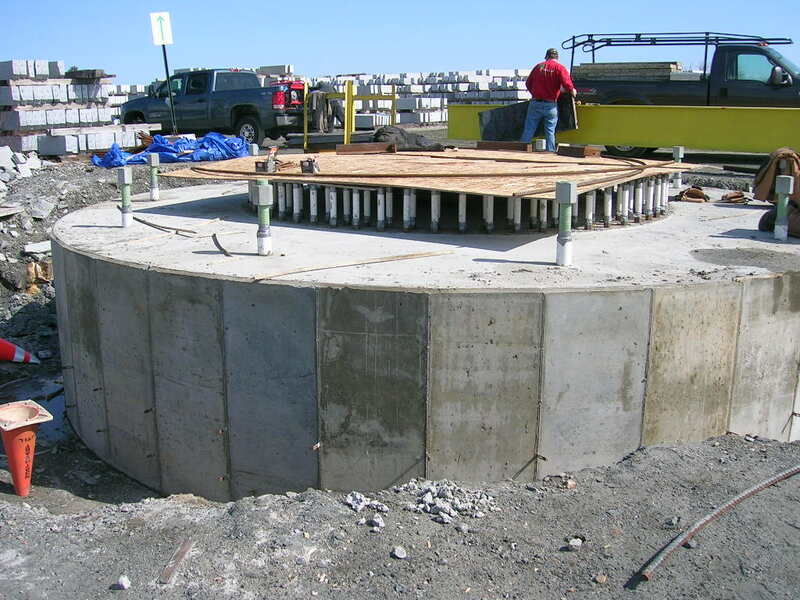 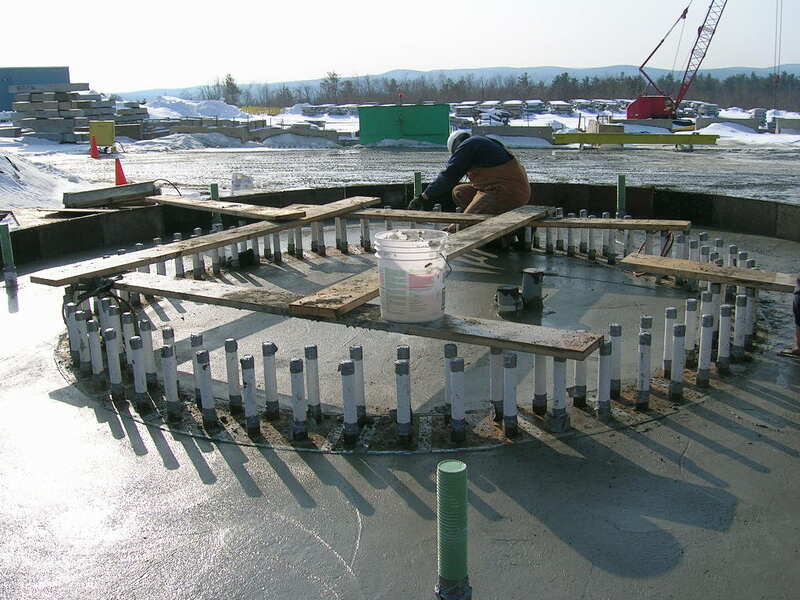 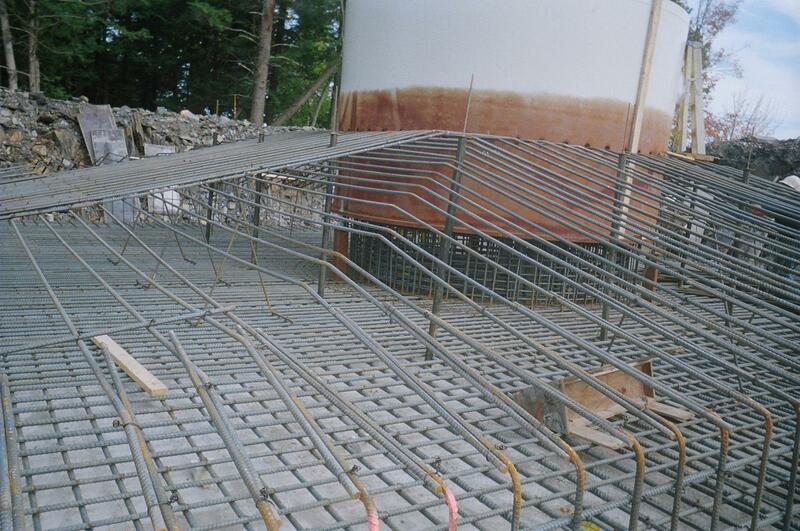 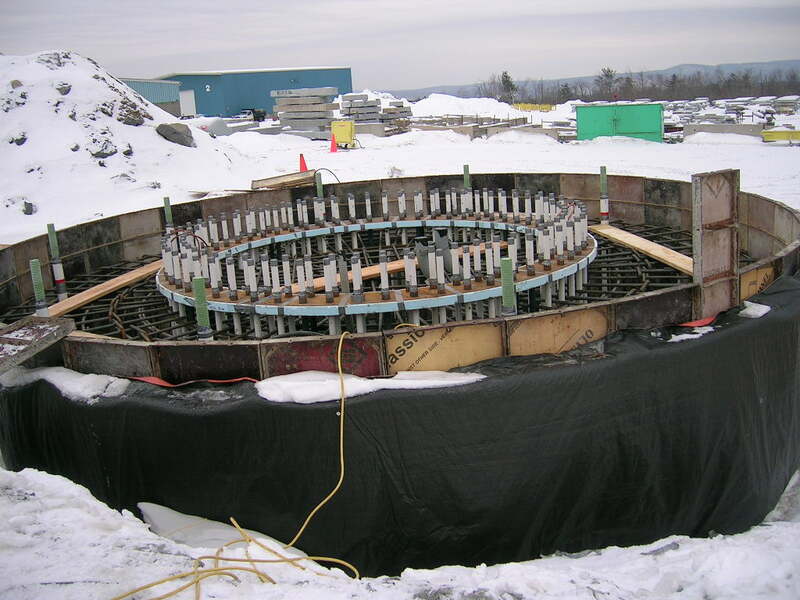 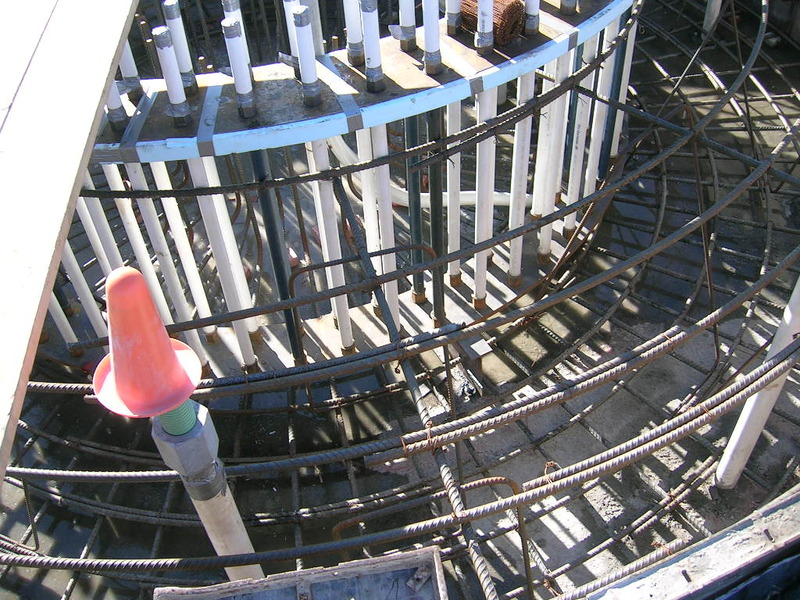 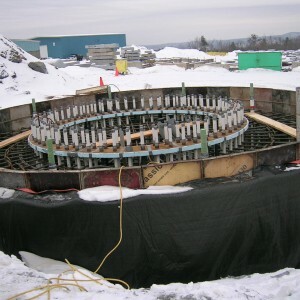 What are the advantages of cast-in-place concrete construction? 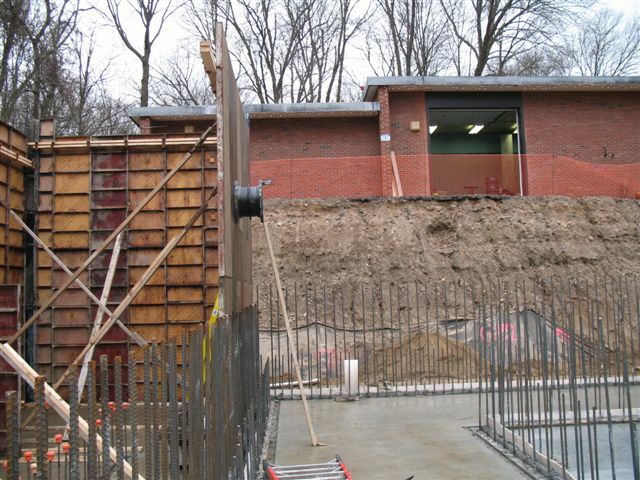 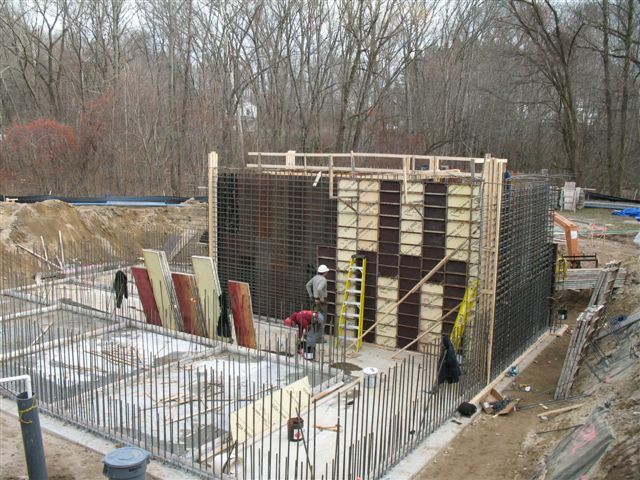 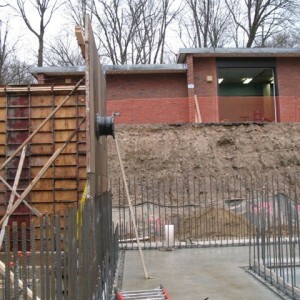 How does energy efficiency of cast-in-place concrete compare to framed walls? 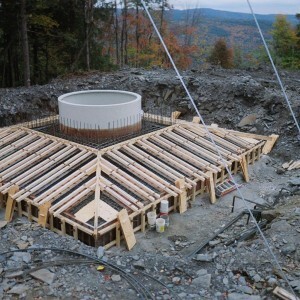 Insulation, thermal mass, and low air infiltration contribute to the energy saving. 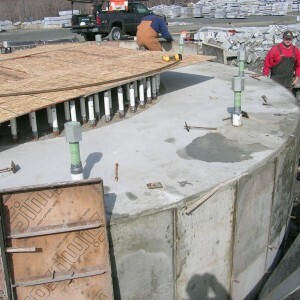 Typical R-value for EPS and XPS foams are, respectively, four and five per inch. 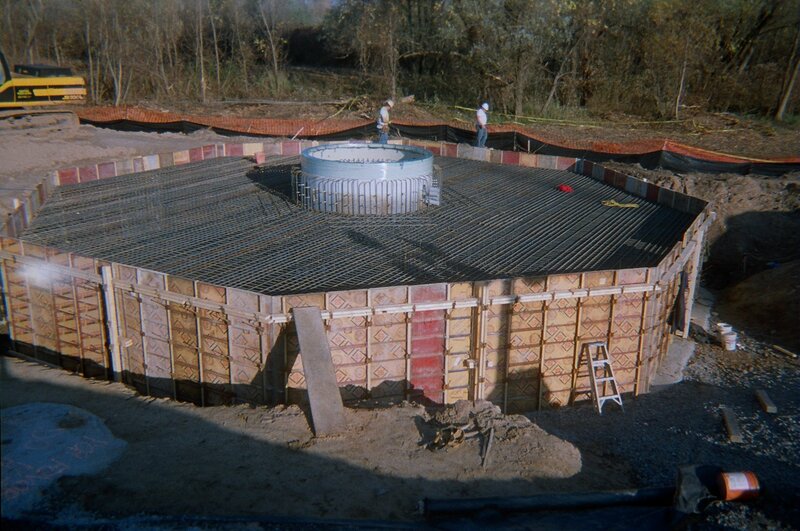 Thermal mass acts like a storage battery to hold heat or cold, moderating temperature swings. 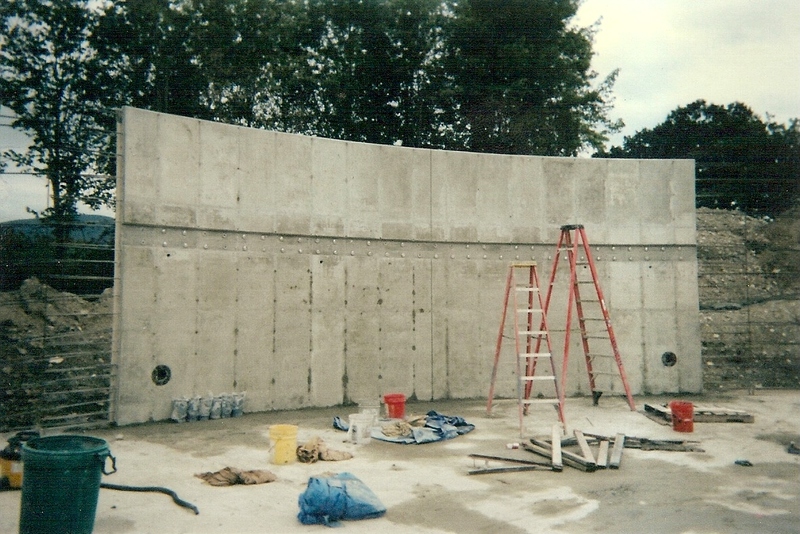 Cast-in-place walls have 10 to 30 percent better air tightness than comparable framed walls—because the concrete envelope contains few joints. 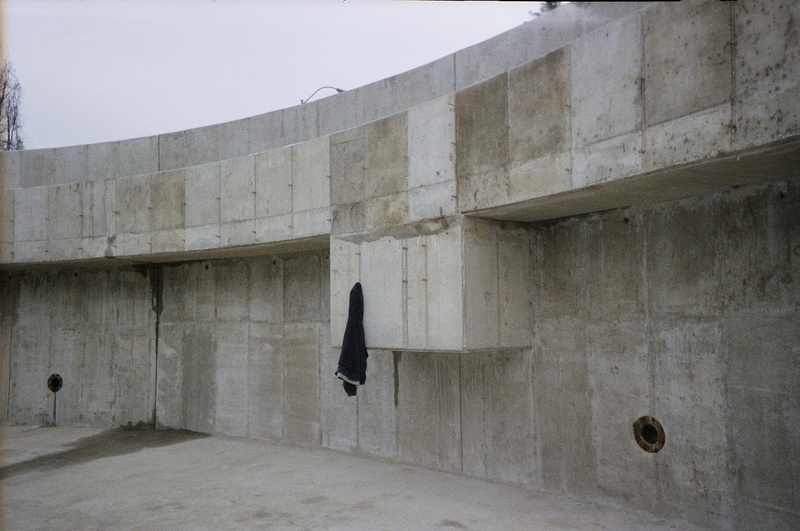 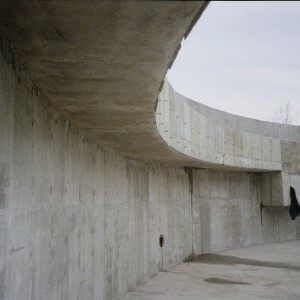 In addition to saving energy and money associated with heating and cooling, concrete walls also provide more consistent interior temperatures for occupants, increasing their comfort. 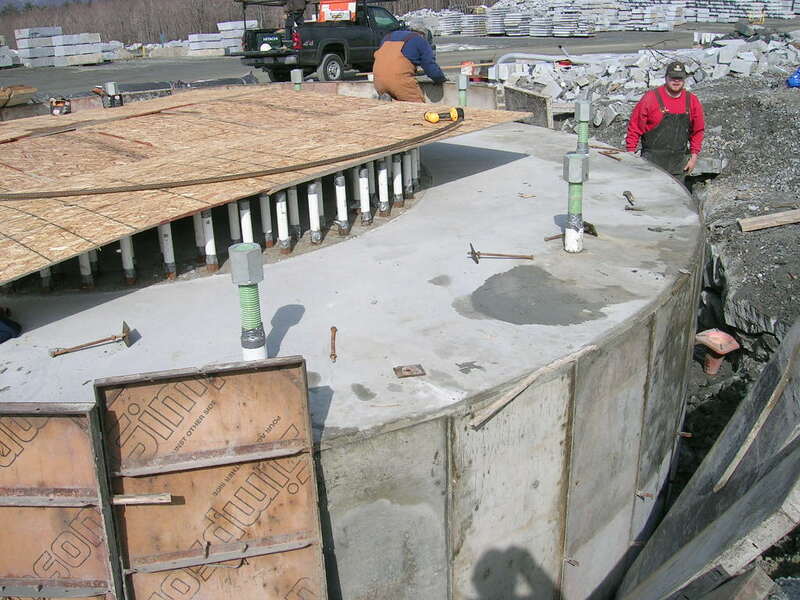 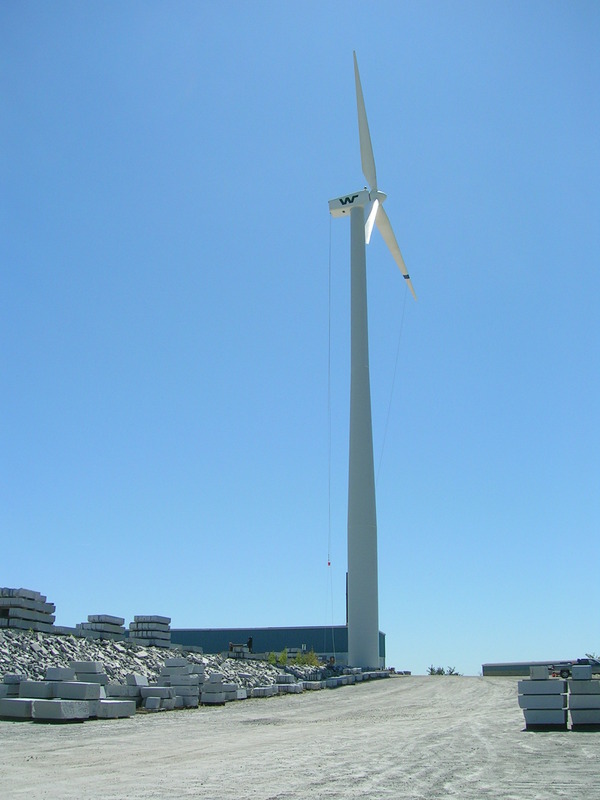 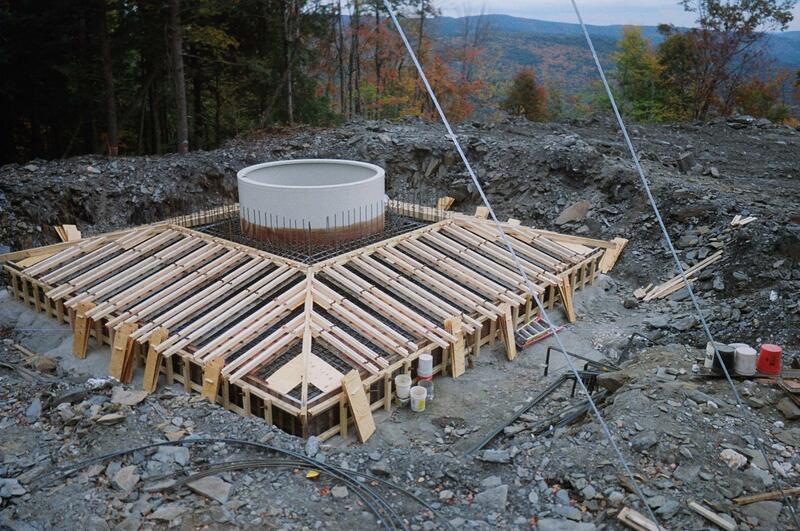 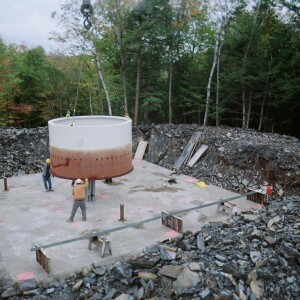 Is cast-in-place concrete construction environmentally sustainable? 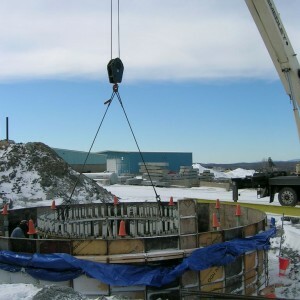 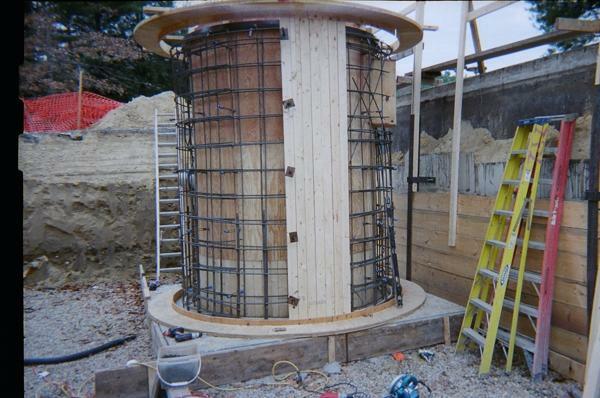 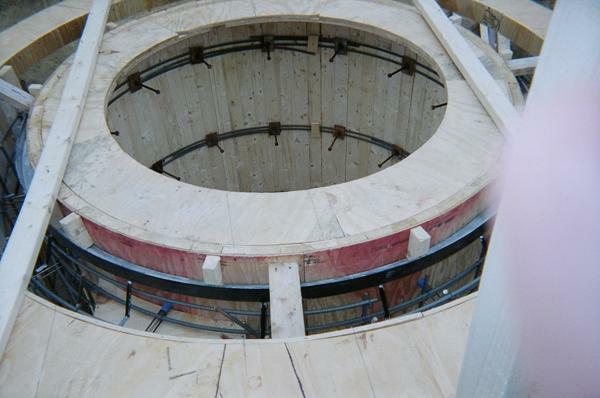 Cast-in-place systems are suited to the use of recycled materials. 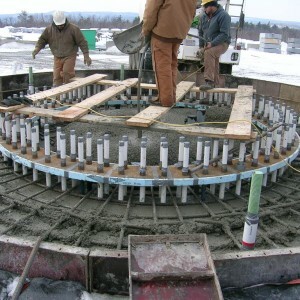 Concrete can be made using supplementary cementing materials like fly ash or slag to replace a	portion of the cement. 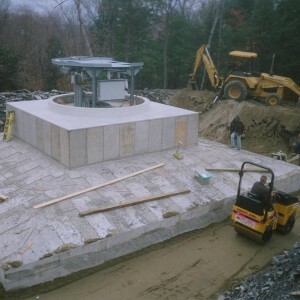 Aggregate can be recycled (crushed concrete) to reduce the need for virgin aggregate. 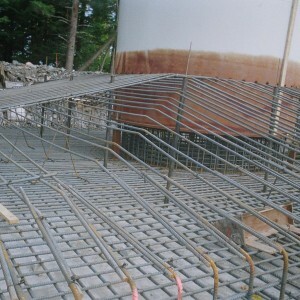 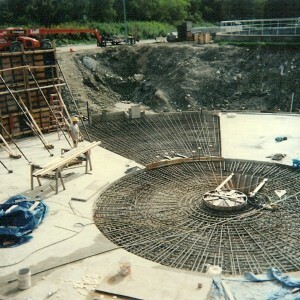 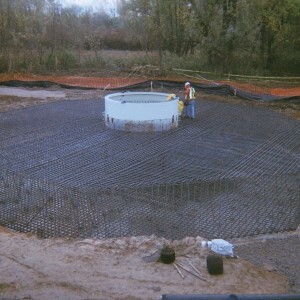 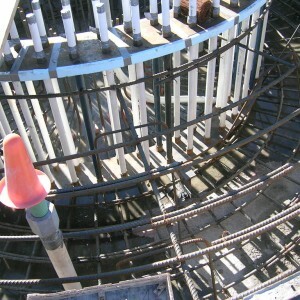 Most steel for reinforcement is recycled. 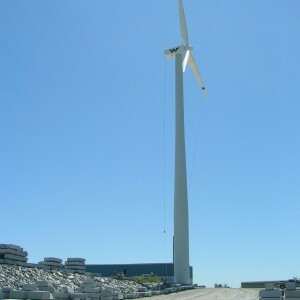 Some polystyrene is made with recycled material as well. 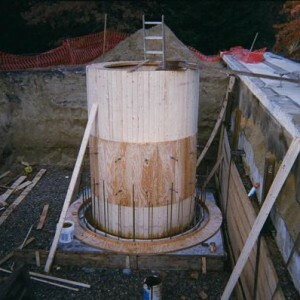 Some of these techniques contribute toward achieving points in certain green rating systems such as LEED®. 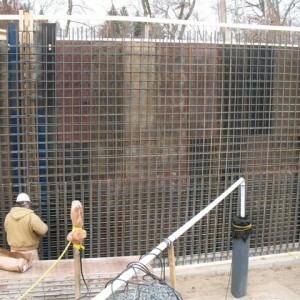 Significant planning, training, and procedures are in place to ensure the safety of your team and ours.